The Event Production Show is the biggest of its kind, specialising in the live event sector. A wide variety of visitors attended, the vast majority being organisers of events who were looking for new, innovative ideas to keep their future events competitive in an ever-developing market. 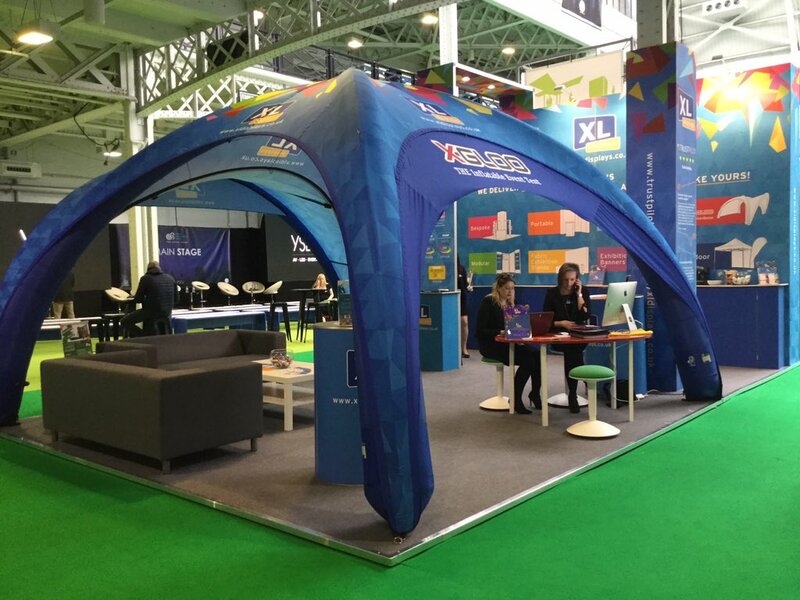 Here at XL Displays, we offer just that – the latest innovative display and event solutions. The event was a fantastic opportunity for us to showcase our latest products and the creative edge they would bring to events in different sectors. As part of our stand, we had our X-GLOO which is an inflatable event tent designed with the iconic shape of an igloo in mind. 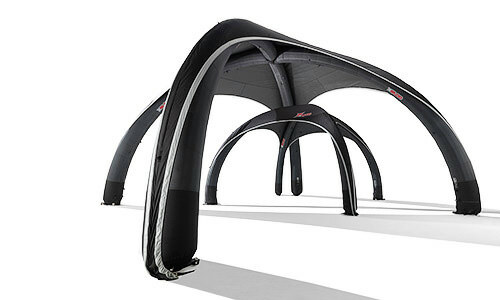 The X-GLOO offers plenty of customisation and branded potential. Sturdy and resilient, the tent is suitable for both indoor and outdoor occasions and a perfect solution for any company looking for a striking and eye-catching presence and impact at events. We are the only UK distributor of this product, manufactured in Germany. The X-GLOO was a substantial crowd pleaser which attracted a lot of attention from visitors looking for a new solution for a wide range of events. It really brought our stand to life and we were very pleased with the positive response that we got from visitors. One of our graphic designers, Holly, came to the event to create free cinema 4D render for visitors. The software produces lifelike scale models and was a fantastic opportunity for visitors to see an X-GLOO with their branding and graphics on. We were complimented frequently by visitors, who had designs made, regarding Holly’s talent in graphic design and the high standard and impressiveness of the 4D renders. Visitors were also very interested in many of our other display solutions and has recently launched a new range of bespoke exhibition stands, it was a perfect opportunity for visitors to learn more about the benefits these can bring. Bespoke exhibition stands are completely unique to the customer and allow them to create their vision for their next event. Bespoke exhibition stands can be created using a range of different products, such as Linear, which supports Foamex or PVC graphics, and Vector which can also have fabric graphics. We also had a lot of interest in our portable display solutions. Our range of portable exhibition displays offers some of the most versatile and cost-effective solutions available. We offer stands in a wide range of configurations and sizes that are also simple to assemble, disassemble and transport. Our portable exhibition stand range includes pop up exhibition stands, exhibition banners, Twist banners and fabric exhibition stands. It was great to see so many exhibitors at the show who had sourced their portable exhibition stands from us and allowed visitors to see our products from a different perspective and gauge a real idea of the quality and impact of our products. We thoroughly enjoyed ourselves at the event, we met a lot of really great people and it was a pleasure to showcase our products and event solutions to people who were looking for new ideas for their events. It’s fair to say that The Event Production Show was a great success not only for us but also for all the visitors who attended. We are pleased to be able to announce that we will be exhibiting again at The Event Production Show 2018 and we look forward to meeting even more visitors and showcasing an even bigger range of products and new displays solutions!